I am thinking about trying a short feature on the U S boating magazine "Wooden Boat", re getting insurance on an old Woodie. We actually succeeded after a couple tries in getting an old timer with a Vaitses job insured. I don't know if anyone wants to share their experiences with old woodies, homebuilts, or fully restored boats and insuring of same but would welcome additional info on this for proposed story. Did they require a survey? Recommendations on companies or brokers? I'm just finishing up repairing my 27' wooden (cedar on oak) cruiser and am facing the whole insurance "dance" too. It's a real "catch22" with insurance and marinas these days. Marina won't launch the boat until I get liability insurance. I currently have port risk for my dry storage but nothing for in the water. 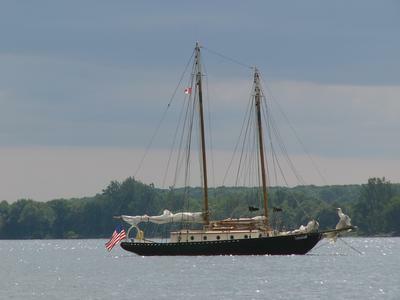 Insurance companies seem to only want the 100K restored yachts or show quality runabouts, My boat is a nice yard built vessel (not production), but built more to "work boat" standards than to "yacht" standards, she's sturdy and stout, but probably not worth much to most people. I've been all over the marina's in San Francisco and Maine and have seen very sad looking wooden boats that were docked at marinas...They must have insurance, Right? I'm on a small inland lake and it's the same story with all of the marinas around here. They seem to hate anything that isn't a pontoon boat or a crappy bayliner.